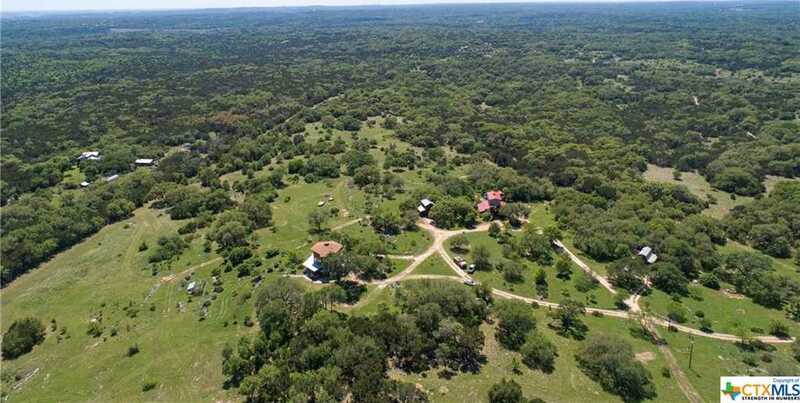 HEAVENGATE: 75acres in the Texas Hill Country limited only by your imagination. It offers panoramic views, varying elevation and terrain. Mature Oaks and other native trees, plants and fruit trees. There are four (4) existing residential structures which total 4,992 square feet. The main living structure is a hexagon shape 3 story (approx. 1,972 sq. ft)and custom wood craftsmanship. The additional 3 residential structures are income producing. Further development potential for B&B, VRBO, Retreat/Event Center or residential development. Well in place, Two Septics, Partial rock fence. Adjoins larger acreage tract. Secluded location yet just minutes to downtown San Marcos and easy access to IH 35 Austin/San Antonio Corridor. Currently in Wildlife Pasture. No restrictions, No zoning in place. Buyer will be responsible for confirming square footage. Seller may consider subdividing. Please, send me more information on this property: MLS# 344873 – $1,875,000 – San Marcos, TX 78666. I would like to schedule a showing appointment for this property: MLS# 344873 – $1,875,000 – San Marcos, TX 78666.